How do you use a dp cell measuring a span of 0-500 mmH2O with an o/p of 4-20 mA to control a flow rate of 0-1000 L/h for a flow meter range? 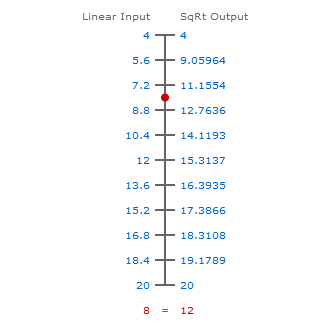 How can I convert the linear output to a sq rt output and where is this operation done in the system, is it before the dp cell or after? The square root extraction can be produced by some dp cell transmitters, but if not the linear output signal can be processed by many types of control instrumentation. Typically the square root extraction function has to be selected since the linear function is the default configuration. 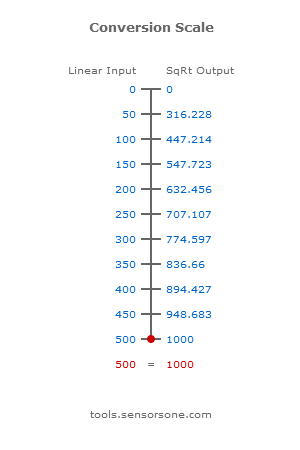 The linear differential pressure is measured across an obstruction in the flow, such as a orifice plate or venturi tube. The resulting dp cell measurement is then converted to a 4-20mA output signal. Since the relationship is that flow is proportional to the square root of the pressure, a square root extraction function is applied to the signal to make it follow a non-linear characteristic. This conversion can be applied by the dp cell transmitter electronics or by the instrumentation connected to it. If you are not sure how the dp cell is configured, you can test the it by applying pressures and monitoring the output at different set-points, and then you will be able to tell if the output is linear or not. The dp cell transmitter operation manual should explain how to switch between linear and sqrt extraction modes. This configuratioin maybe possible via some buttons close to the display screen or underneath the enclosure cap. If the DP transmitter has HART communications then you should be able to set-up the square root mode via the hand terminal communicator. Use these tools to convert measurements from linear to sqrt or sqrt to linear . 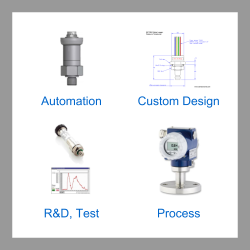 Send us your enquiry for a product associated with this How do you measure flow rate with a dp cell page, and get assistance with selecting a product for your application.